After her bitter divorce and her mother's heartbreaking death, Eden Elliott retreats to her father's homeland - Scotland - to jump start her writing career. She flies from Chicago to London for her connecting flight to Inverness, only to meet another "lost" soul, Vicki MacBride, en route to the seaside village of Glenkillen. Eden and Vicki become friends as they integrate themselves into Scottish life. Yet trouble follows both of them, prompting Eden to investigate the untimely death of the sheep sheerer, the fire at the B&B, and other mysterious activities in this quiet village. OFF KILTER is an immersion into Scottish life through the eyes of American Eden Elliott. Reed captures the Highland spirit as the heroine wanders around the village seeking inspiration for her romance novel. Her unexpected turn as as amateur detective riles some of the villagers. Eden finds an ally in a potential suitor - a man in a kilt, of course! 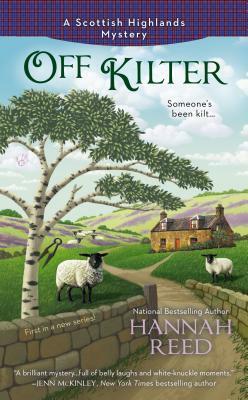 Reed delivers an entertaining cozy mystery which will appeal to fans of Scottish culture. She pokes fun at Eden's efforts to write her romance novel while paying tribute to the romance of Alba itself. I purchased OFF KILTER for my reading pleasure. 1. Leave a comment about Scotland - what do you love about Alba? Or know about Scottish culture? I know Rosslyn Chapel is one of its landmarks. i know the Shetland Islands are part of Scotland and they have Shetland Ponies there. The Scottish Highland games are this weekend in a town near us. We may go them. Have not been in many years. I have Scottish ancestors on my mother's side. I would love to visit Scotland one day. I hear it is beautiful. I have to some places including Culloden. I love all things Scottish - in fact I am reading another cozy mystery with Scottish ties. A Wee Murder in my Shop by Fran Stewart. 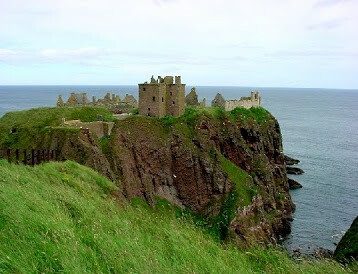 I've never been to Scotland my knowledge is just what I learned in school and in historical romances. I don't anything about Scotland. My sister just went to Scotland and showed me great pictures she took. She told me all about kilts and how the colors and plaids show from which clan you are. Great fun hearing her stories! They were a proud and fierce people. My favorite type of read!!! Would love to visit some day. Scotland is a country rich in folklore and legends. Some of Scotland's most famous mythical creatures are selkies, kelpies, and the Loch Ness Monster. 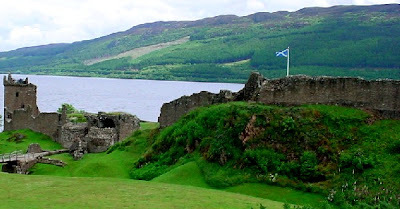 I enjoy reading historical romance set in the Scottish Highlands. I really know nothing about Scotland; just heard about the LN Monster; bet is is a great place to visit. I really don't know a lot about Scotland however I like reading about books that take place in Scotland. It is a ruggedly beautiful land with a people who have and are fighting for their right to be a country allowed to rule themselves. A trip there is at the top of my Bucket List. this the first I've heard of Alba - I'll have to look for more info! I've read lots of books that take place during different times in Scottish history and have absorbed some of that. I know nothing about Scottish culture outside of haggis - that I don't think I would like it. LOL. I'd love to spend a few months exploring Scotland. The pictures I've seen show a beautiful country! I don't know much about Scotland at all - haggis, beautiful scenery, Loch Ness monster, and the backdrop for some wonderful stories.